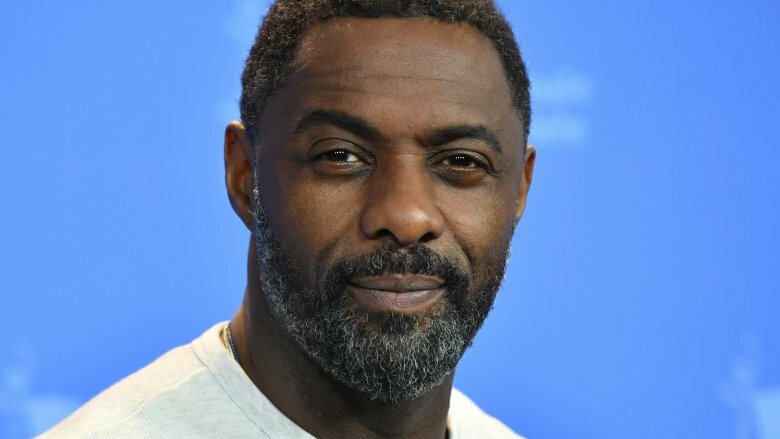 The perpetually suave, British-but-you-might-not-know-it actor Idris Elba has found his next feature project. Per Variety, Elba has been cast in the Fast and Furious spinoff film titled Hobbs and Shaw. The actor is in "final negotiations" to board, set to star as the main villain opposite Dwayne "The Rock" Johnson's Diplomatic Security Service agent Luke Hobbs and Jason Statham's sharp-tongued assassin Deckard Shaw. No additional details on Elba's character were given at the time of the announcement, but sources close to Variety confirm that he plays the film's primary antagonist with whom Hobbs and Shaw will go toe to toe. Back in May, That Hashtag Show published character breakdowns that noted Hobbs and Shaw would include a powerful British baddie named Mr. Null, described as an "international terrorist who dresses in all black." Elba certainly has the accent for the gig, and his choice of attire is very rarely less-than-stellar, so it seems likely that Mr. Null is the character he plays in Hobbs and Shaw. Regardless of who he actually portrays, however, it's evident that the film's frequently fighting titular duo will have to put their differences aside to fry some bigger fish — the largest of which is, of course, Elba's mystery man. News of Elba's casting comes shortly after it was announced that The Crown actress Vanessa Kirby had joined Hobbs and Shaw. Kirby, who recently ended her run as Princess Margaret on the acclaimed Netflix series, stars as the sister of Statham's Shaw, an MI-5 agent reportedly named Hattie. Elba, who last appeared on the silver screen as Heimdall (rest in peace, gentle Asgardian) in Avengers: Infinity War, has more than a few bad guy roles listed on his filmography. Not only has he done dirty deeds in live-action films like Star Trek Beyond, portraying the alien warlord Krall/Balthazar Edison, he has also lent his pipes in the recording studio to voice the terrifying Shere Khan in The Jungle Book. We're confident that very few will find fault in Elba's casting in Hobbs and Shaw — he's won Golden Globes for his work on Luther and been nominated for countless other awards for Mandela: Long Walk to Freedom, Beasts of No Nation, Zootopia, No Good Deed, and Molly's Game — but his involvement might ruffle some feathers, as it seems to shoot down past rumors that Charlize Theron would return for the spinoff and step back into her role as the villainous Cipher, the super-genius hacker first introduced in The Fate of the Furious. Nothing to that regard has been discussed as of yet, but it'll be interesting to see whether Theron will actually be a part of the film — and, if she does join Hobbs and Shaw, how her character might be involved with Elba's. Directed by Deadpool 2 filmmaker David Leitch, Hobbs and Shaw will race into theaters on July 26, 2019.